Certain films find a way to capture all of the talents involved at just the right moment. Each major performer (and some of the minor) are exactly where they should be in their career to fit their characters, and the filmmakers are working at the top of their form. I've always thought "Bull Durham" had a little bit of that movie magic. Kevin Costner was at his most charming; Susan Sarandon was never sexier; Tim Robbins was perfectly gawky. All the pieces fit like a championship baseball team with a perfect lineup. 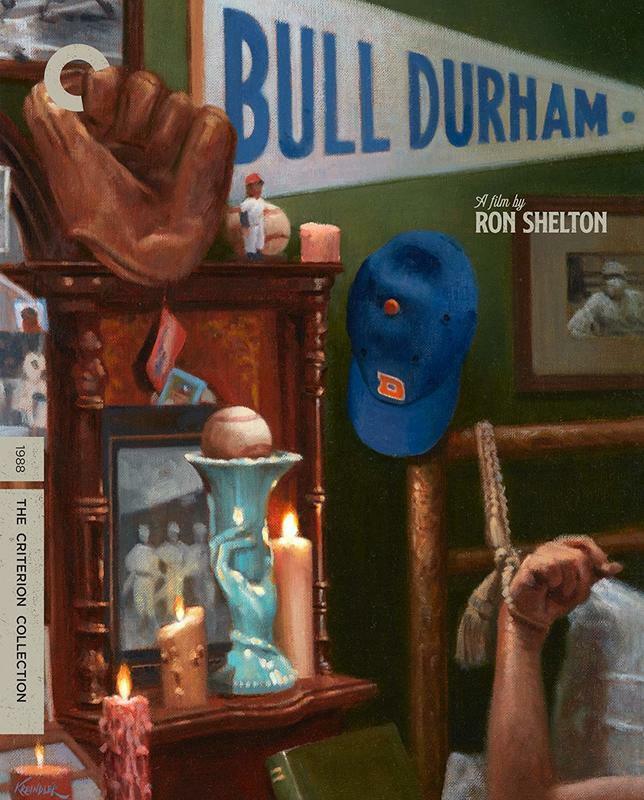 "Bull Durham" is a perfect romantic comedy AND a great sports movie, and should be included in any conversation of the best in either category. And Criterion has completely loaded this '80s classic with archival and new special features, including old TV footage and new conversations. It's one of their best releases of the summer and can remind you of not only when baseball felt purer and more magical, but when movie stars did too. I didn't respond that strongly to "Disobedience" at its TIFF premiere, but it's a film that has stuck with me to a surprising degree. It's mostly Rachel McAdams' performance that has haunted me, and I recognize the brilliance in her work immediately. She's become a more and more interesting actress with each passing year. Just look at her subtle, emotional work here compared to her perfect comic timing in "Game Night." She's one of those actresses who seems to be only getting better, and who still feels wildly underrated. Here she plays a Jewish woman whose love for another woman, played by Rachel Weisz, threatens her entire existence. There are elements of the film that don't work (read my TIFF review here) but it's a heartfelt, poignant film that is better than I first thought in my Canadian festival haze. 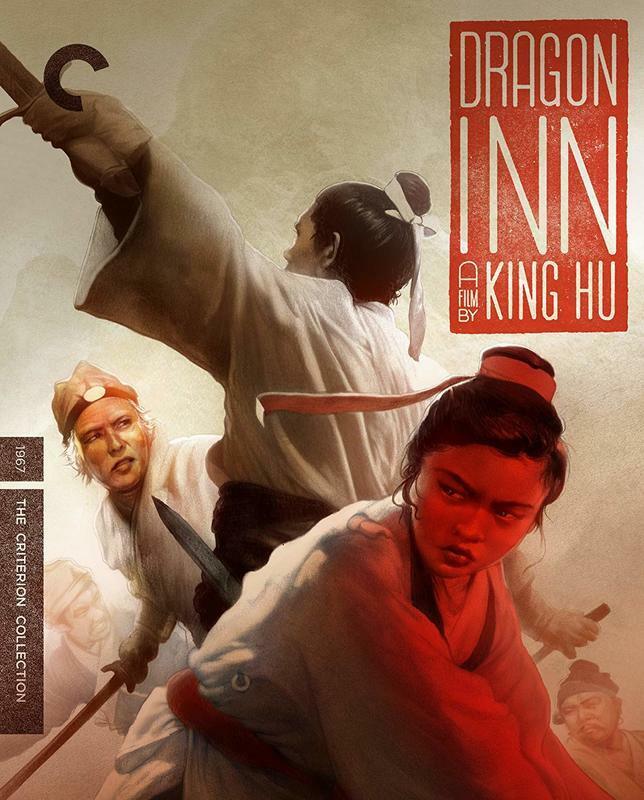 King Hu's first film after leaving the Shaw Brothers to move to Taiwan displayed the creative freedom he was seeking in his new home and forever impacted the wuxia genre. It's a beautifully simple film in terms of plotting in that it's one of those classic tales of good guys and bad guys colliding in a remote location. It has echoes of the Western genre in that sense, and clearly influenced filmmakers across all background (I'm looking at you, Quentin). The 4K digital restoration by Criterion is a beauty, supervised by the film's cinematographer. 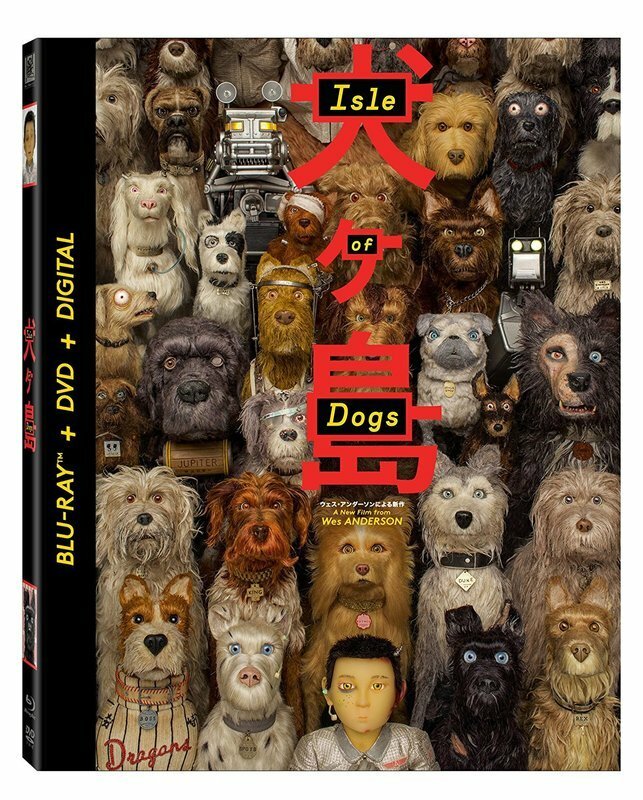 Special features are a little light (although you should check out Grady Hendrix's scene analysis) but this is a must-own for fans of Asian cinema. Speaking of Asian cinema, Wes Anderson's latest was clearly heavily influenced by it, for better or worse. I'm one of the few people on the fence for a film that became one of the most divisive of 2018 to date. Some people fell for its very Anderson brand of humor while others bristled at its bizarre racial undertones. I see both sides and think it's the kind of film that you should see and make up your mind on for yourself. For me, even with the queasy elements of the storytelling aside, this is minor Anderson. It's not as clever or fun as "The Fantastic Mr. Fox" and nowhere near recent ventures like "Moonrise Kingdom" or "The Grand Budapest Hotel." However, Wes Anderson is an important American filmmaker. You should see everything he does, even the minor stuff. Speaking of great filmmakers, Andrew Haigh has quickly reached that position with "Weekend," "45 Years," and this fantastic drama, one of the best films of 2018 to date. 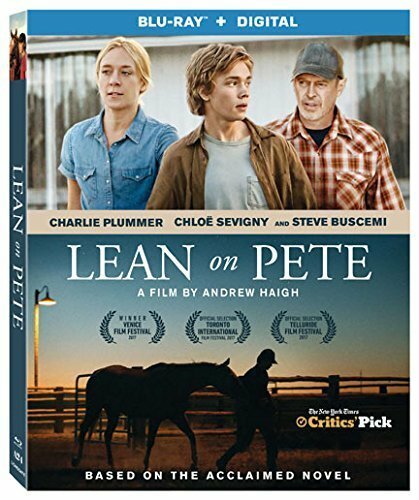 After playing an extensive festival circuit that included Venice, Toronto, and SXSW, "Lean on Pete" is finally available on Blu-ray and DVD, and I consider it one of the essential films of 2018 so far. It's a beautiful, haunting story of a young man traveling across the country with a stolen horse to grab the one rung left on the ladder of life before he falls off entirely. It's a window into a life you would never otherwise see, and one of the best films recently when it comes to Roger's belief of cinema as an empathy machine. It allows us to experience a heartbreaking journey in a way that no other form can do. Don't miss it. Another essential 2018 film hit Blu-ray recently (and there's yet another down this feature ... it's been a good couple weeks for home entertainment). 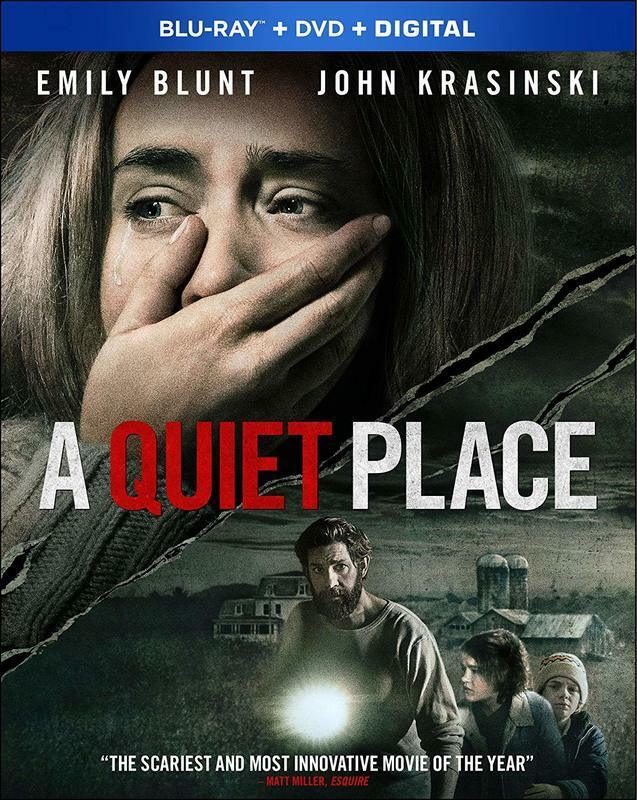 Watching it again at home, I was struck by the replay value of John Krasinski's breakout hit. It's such a finely-tuned machine that its 90 minutes go by in the blink of an eye. It's the kind of movie I imagine horror fans watching over and over again, and even influencing a few filmmakers along the way. I love its confidence, framing, and clockwork precision. And the sound design works even at home. It may sound ironic, but turn it up loud. Has Dwayne Johnson peaked? The relatively disappointing domestic returns on "Skyscraper" has led people to ask that question for the first time (although it's worth noting that the actor still makes a FORTUNE overseas, especially in China). If he has peaked, I think it's due to overexposure. He's had three major blockbusters in less than a year, starting with "Jumanji: Welcome to the Jungle" and ending with his latest, both films sandwiching this unexpected adaptation of a classic, simple arcade game. Is "Rampage" a great movie? Hell no. It's wildly inconsistent. 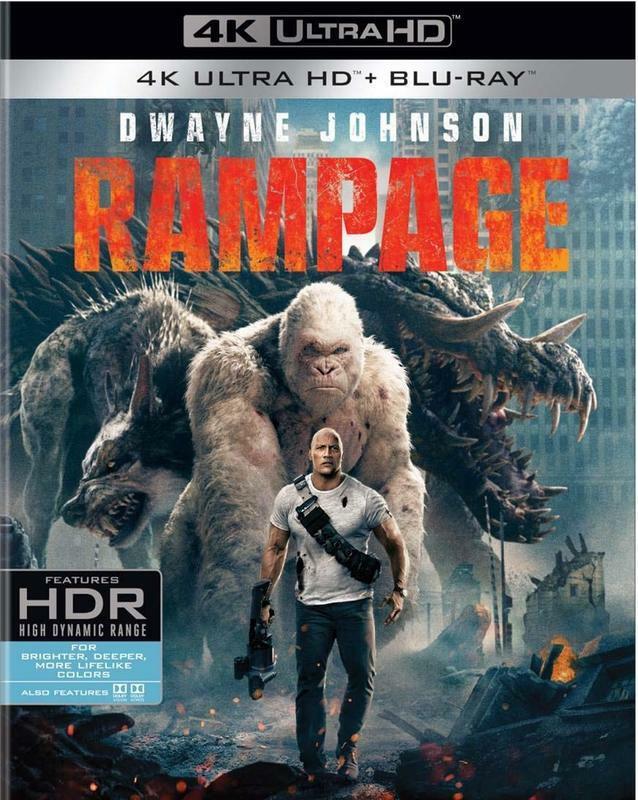 Is "Rampage" fun to watch in 4K at home if you're in the right mood. Hell yes. Personally, I'm not ready to bury The Rock yet. I think he'll bounce back from his first major blockbuster misfire. Especially if he takes a little more time between blowing things up. Lynne Ramsay's Cannes award-winner is the best film of 2018 so far that you can watch at home (for me only Debra Granik's "Leave No Trace" is better, period, but that's still in theaters). 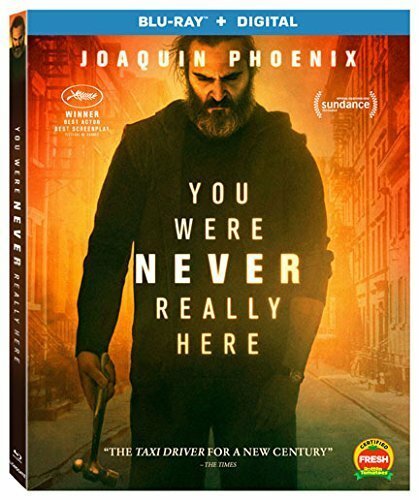 Watching "You Were Never Really Here" for the first time since Sundance, I was blown away by it all over again, admiring every calculated decision that went into its production. There's an economy of filmmaking here that's mindblowing. Every shot, cut, sound choice, line delivery—absolutely none of it feels wasted or quickly-considered. It's a dark symphony with every instrument in tune. And it accomplishes something that I increasingly need from film in that Ramsay uses cinematic language and sound design in ways that no other medium could do. This is not an "Adapted Book," this is a FILM.